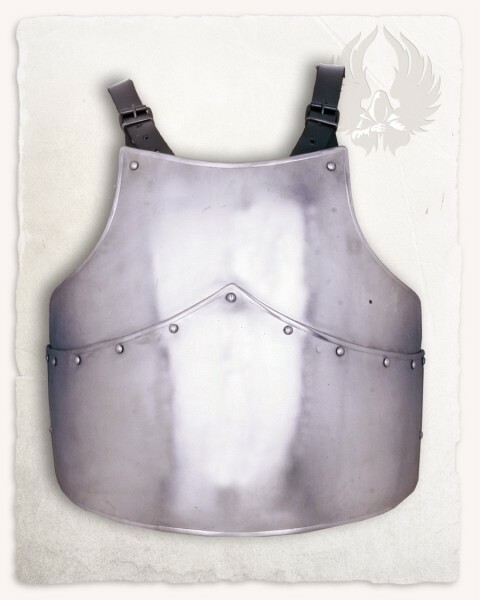 The "Markward" torso armour consists of a breast- and backplate both of which are decorated with blank rivets. The two parts are connected with leather straps. 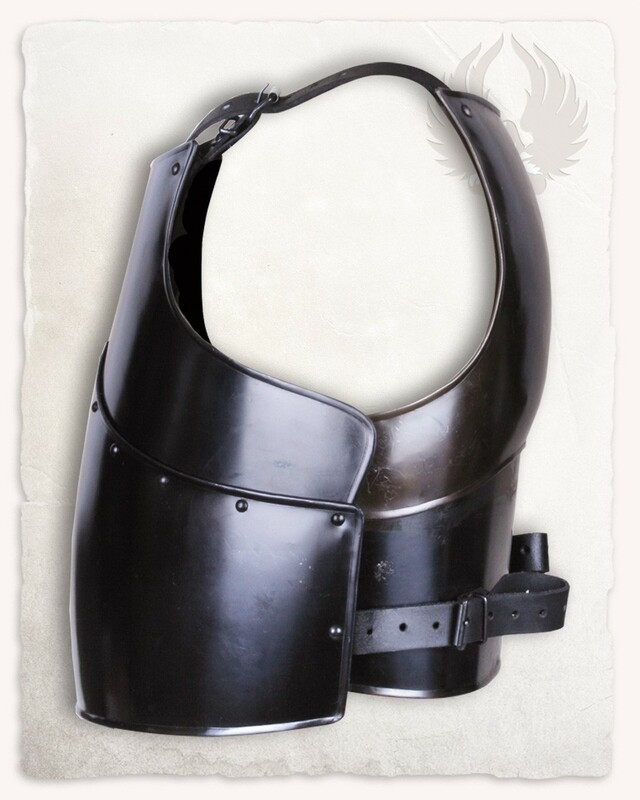 There are various parts you can expand your "Markward" torso with. 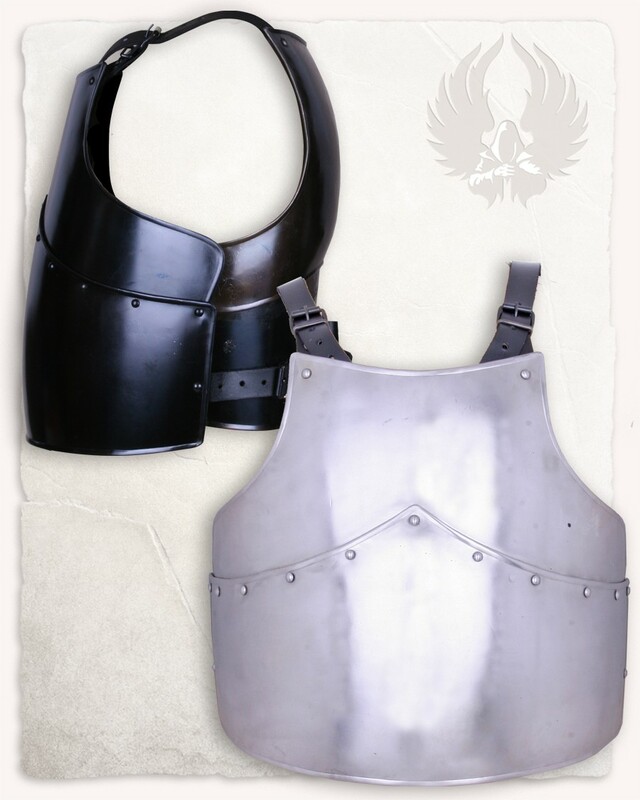 Especially the other "Markward" armour parts are suitable for this. Get inspired by looking at our costume picture suggestions! 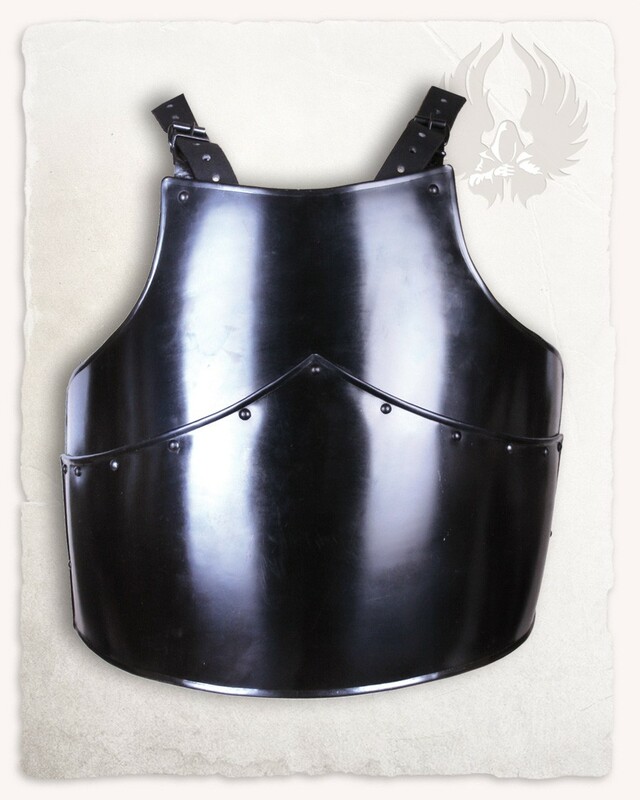 Related links to "Markward Breastplate"
Customer evaluation for "Markward Breastplate"